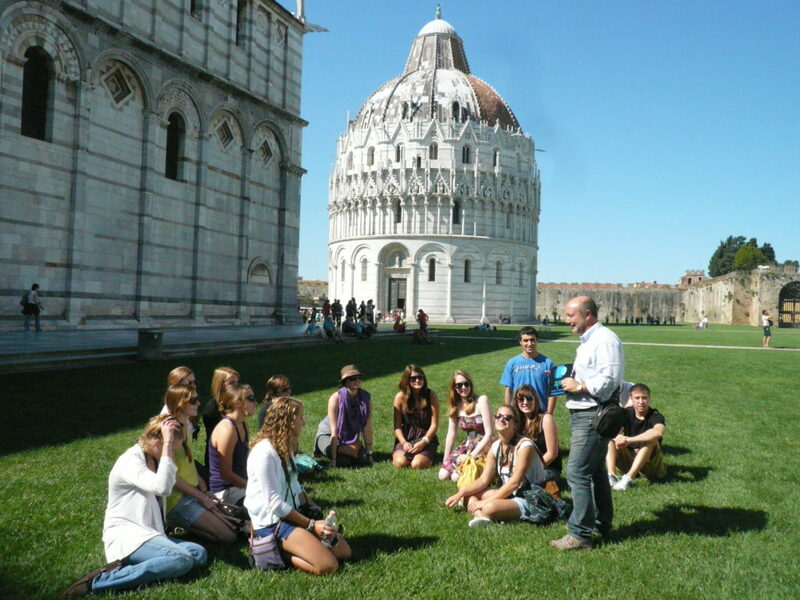 Guided tours: Lucca or Pisa? Lucca or Pisa: that is the question: Whether ‘tis nobler in the mind to stroll along the Renaissance walls of Lucca or go to Pisa to admire the medieval Piazza dei Miracoli. Well, both can be done with a bit of organization. A guided tour of Lucca, which by the city’s own volition is not part of traditional tourist itineraries, is a favorite among those who want to see the real Tuscany. The Tuscany of small towns and hamlets full of art; where there are small gems to discover, photograph, talk about, and share; where you can slow down, linger, and relax. No competition with Renaissance Florence or medieval Siena. Lucca is kind of a world unto itself. Secluded, reserved, but abounding with small and large treasures waiting to be found. Everyone is familiar with Piazza Anfiteatro (a great place for cocktails) but few know about the textile treasures located in Palazzo Mansi. Everyone’s seen a picture of tree-topped Torre (Tower) Guinigi (a fantastic place for a panoramic view of Lucca) but few are familiar with the underground world of the city’s Renaissance walls. Inside the walls, Lucca entwines the fast pace of its residents on their way to work (yes, in sumptuous Renaissance and Baroque palazzos) with visitors that are sidetracked by the thousands of details of its monuments like the Romanesque church of San Michele. San Michele’s marble inlay, sculptures, and bas-reliefs alone merit a deviation from the usual tours of Tuscany. You can admire bears, deer, and doves along with centaurs, harpies, and other mythological animals on the façade in addition to symbols of the occult, Oriental sailing ships, and busts of the “Fathers of Italy” including the king, the great poet Dante Alighieri, and Matilda of Canossa, to name a few. The Cathedral of San Martino (alter ego of San Michele) houses the famous 15th-century sarcophagus of Ilaria del Carretto by Jacopo della Quercia and the “Volto Santo” (Holy Face), a miraculous crucifix made in the image of Jesus Christ by one of his followers, which arrived in Lucca in the 8th century, heaven-sent. Nearby, we move ahead in time to 19th-century Piazza Napoleone and Palazzo Ducale where Napoleon’s sister, Princess Elisa, resided. Just a few paces over is the theatre, Teatro del Giglio, where Giacomo Puccini staged his biggest successes. His birthplace, near the Church of San Michele, is, today, a museum that houses the Maestro’s most important documents and memorabilia. Behind Palazzo Ducale, inside the walls, there is the Manifattura dei Tabacchi (State cigarette/cigar factory). From 1847 to 2003, this industrial citadel was the domain of thousands of workers including the legendary female cigar makers. And to relax, there’s nothing better than walking along Via Fillungo, the town’s open-air “mall” with international shops, historic local shops, jewelry shops and cafes. What can we say about Torre (Tower) Guinigi with its crown of seven evergreen oak trees? 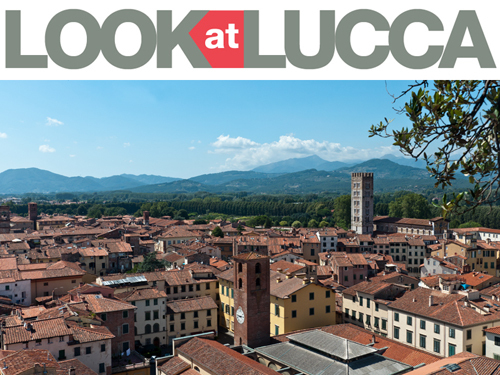 The spectacular vista of Lucca and the surrounding hills is worth the 230-step climb to the top. Other places of note are Piazza Anfiteatro, which sums up the city’s architectural history (the guide will explain) and the splendid Basilica of San Frediano. A stroll along the renowned 16th-century walls at the end of the tour is a must. 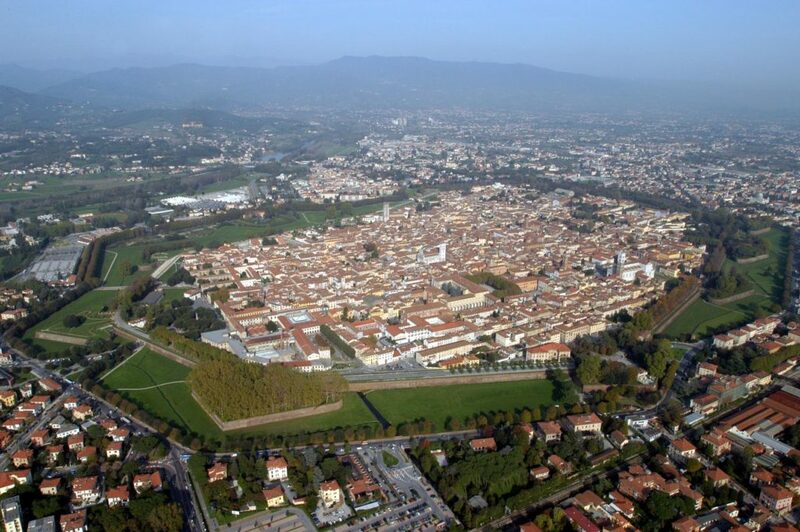 The 4.2 kilometer (2.6 miles) ring, which totally englobes the historical center, is Lucca’s pride and joy, admired by Italians and foreigners alike. The city promenade/park was desired by both Elisa Bonaparte and Maria Luisa Borbone in the 19th century. What about Pisa? A visit to Pisa, a definite must, shouldn’t be limited to just Piazza dei Miracoli, which, it must be said, in terms of monumental architecture and harmony is incomparable. However, the square, Cathedral, Baptistery, Monumental Cemetery, and the famous Leaning Tower are just starting points. Pisa also has a more secret and unknown side: narrow streets and alleys, Piazza dei Cavalieri (seat of the renowned Scuola Normale Superiore), the medieval street Borgo Stretto with its elegant shops and cafes, and the Lungarni (Arno River embankments), which is so romantic at sunset. In July and August, it’s possible to take boat trips along the Arno for a panoramic tour of the city right to the Park of San Rossore and then to the river mouth at Marina di Pisa. Yes, sometimes, it can be boring listening to a guide’s explanations. But imagine being the guide! So don’t expect to hear the same old stories, our tours of Lucca and Pisa, for groups or individuals, are always a source of new discoveries, even for us. We have to have fun too! Posted in Blog ed etichettato itineraries in Lucca, itineraries in Pisa, Lucca, Pisa, tour guides. Bookmark the permalink.